Ski season is fast approaching, so here are a few tips to get ready for first snow! 1 Pre-Season Training 2 Warmups & Stretching 3 Nutrition 4 Adopt winter! One to three months before sailing the trails is when you should start thinking about boosting your fitness level. 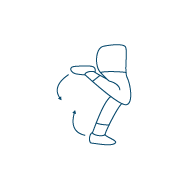 Compared to most sports, skiing and snowboarding require a slightly different set of muscles, so be wise a get ready beforehand. 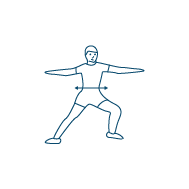 With your back against the wall, stretch out or raise one leg for 10 seconds per leg. 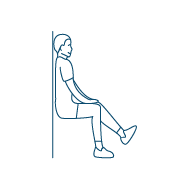 Then lean against the wall with both feet on the ground, knees at 90 degrees for 30–45 seconds. Keep your hips at an equal height, your buttocks against the wall, and brace your abs. Lying flat on your stomach, extend your arms over your head, then lift your arms and legs several centimetres off the ground. 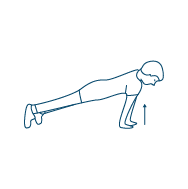 There are different ways to do a push-up. Rest for 30 seconds between sets. Sit on the ground, your weight equally distributed on your buttocks, legs in the air, knees bent. Keeping your back straight, turn your head, arms, and shoulders. Do two or three sets for a specific amount of time (start with 30 seconds). 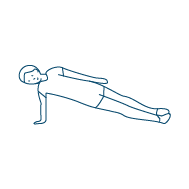 Abdominal plank, keep your elbows shoulder-width apart and avoid arching your back. Do two or three sets for a specific amount of time (start with 30 seconds). 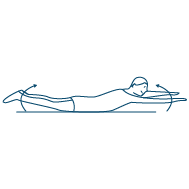 To work your obliques, lie on one side using one elbow and the side of your bottom foot for support. Do two or three sets for a specific amount of time time (start with 15 seconds/side). 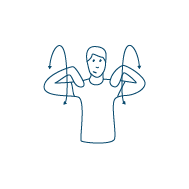 Before any type of physical activity, getting your muscles warmed up is important. 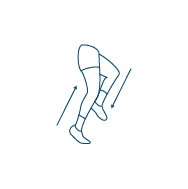 Get moving slowly for 5 to 10 minutes, by doing some on the spot running, and then alternate warmups to include heel & glute (buttock) squeezes, knee lifts and arm rotations. Watch this video (french only) for some ideas! Rotate shoulders then arms, wrists, ankles and neck. Do not tilt head backwards. 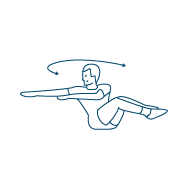 Pretend you are jumping up and over a rope lying on the ground. 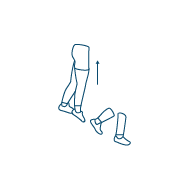 8 knee lifts. After this exercise, do the next two. Why is it important to stay well fed? Every now and then stop and rest, rehydrate and eat – it’s important! Even if it isn’t too cold when you first get back out on your skis, a new set of muscles is getting a workout and you may tire faster. Take a break, rehydrate and eat a snack. Your wellness and safety depend on it! Before leaving in the morning? Full breakfast including a protein (egg, peanut butter or cheese) or a bowl of oatmeal with dried fruit, chia seeds, a dollop of Greek yogurt. Meal-in-a-bowl, vegetarian chili, pasta or a sandwich. Why not a small square of chocolate for dessert? Hydration before heading out skiing is very important ‒ and all day long too. What could be nicer than a hot chocolate to wrap up your day on a sweet note? Discover the multiple faces of your favorite ski area… Some of them offer fatbike, sled or snow tubing. It’s up to you to make the most out of winter! Météomédia – Diversification des activités en station from Maneige.ski on Vimeo.